I have quite possibly lost my mind. I am pretty sure I left it in SC before we moved to WV. 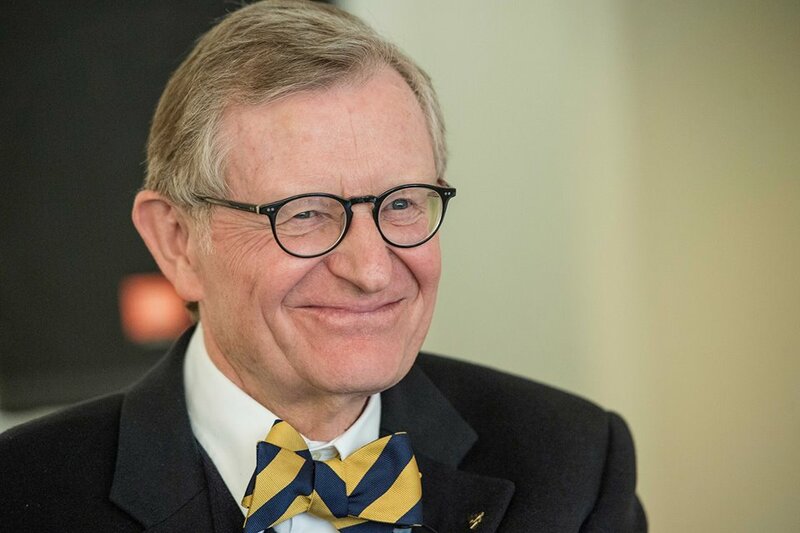 Speaking of WVU, I try to find the President, Dr. E. Gordon Gee, for a photo at every game. He is the best thing to happen to this school in quite a while. His bow-ties are cheerful and the happiness is infectious! Back to why I think I have lost my mind. I am taking my Mom and my Aunt to Washington, DC in October for a vacation. Trying to plan this trip has been interesting. Taking two ladies who can’t walk very far to a city that you walk mostly… Logistically, this may be a disaster. Mom wants to visit every state, and I said I would help her with accomplishing this goal. They both like history, so I thought DC would be a good starting place. This is going to be hilarious. 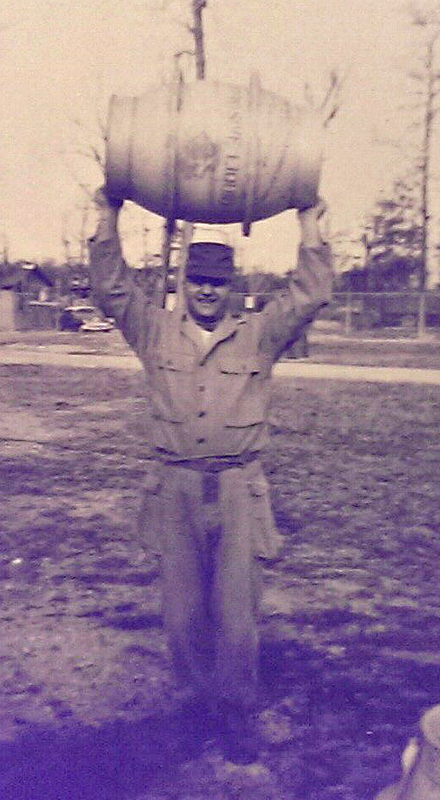 My favorite picture of Uncle Bob from his Army days during the 1950’s. The barrel says, “Explosive Liquid”. This is the obituary I was asked me to write for Uncle Bob. It was a lot of fun to write and talking with his kids to get the stories correct was pretty humorous. This family knows how to celebrate life. Even though he was in bed, he still sent his daughters to the kitchen to make Italian cookies so he could inspect them. It wasn’t until the third batch that he finally approved of their abilities with carrying on the tradition. They would bring the cookies up to his room at different points in the process, and he would send them back down to try again. It was a week of family coming in and out, even his Cardiologist came a few nights to celebrate. I thought that was very touching. The family black & white movies were put on the TV, photo albums were out, and a dining table full of food lasted the entire week. Even though he was in his bed, he asked who came and for them to stay- and come tomorrow too! People took turns watching the sporting events in his room with him. During a WVU game, he pointed up and said he would help them win when he gets there. You could see and feel the love within the house, it was quite magical. This was the most beautiful death, and I hope I am as lucky as Uncle Bob when it is my time. Robert Allen Marra, of Bridgeport, WV, who was known as Bob, passed away on Friday, November 21, 2014 while celebrating his life with his family and loved ones around him. He was born on August 1, 1933, in Brownton. He was the son of the late Frank and Maria (Mary) Morasco Marra, who immigrated to WV from San Giovanni, Italy. He was preceded in death by his wife of 37 years, Constance Minard Marra, in 1998. His surviving family members include his son Robert A. Marra II and wife Diana of Bridgeport, WV, daughters Mary Rose Marra Sirianni and husband George of Tallahassee, Florida and Jolynn Marra, of Charleston, WV. Bob is also survived by his three older brothers, Louis “Jiggs” Marra of Flemington, WV, Joseph Marra of Manassas, VA, Sammie Marra of Bridgeport, WV and sister, Lucy Marra Grady of Bethesda, MD. He has three grandchildren, Anthony, Marra, and Ross, his companion of 15 years, Marie Whitehair of Bridgeport, WV, and many nieces and nephews whom he loved and cared for deeply. In addition to his wife and parents, he was preceded in death by five sisters, Rose Lee Marra Tait, Daisy Marra Vukovich, Velma Marra Infante, Anna Marra Amoroso, and Virginia Marra Meyers. Bob graduated from Philippi High School. He began school at West Virginia University and shortly after went to serve in the US Army, stationed at Fort Myer, VA and Aberdeen, MD. During the late 1950’s, Bob co-owned the popular Willow Beach dinner and dance club in Clarksburg, WV. He worked for his father’s coal company, Marra Coal Company. The company became the Marra Brother’s Coal Company when passed down to Bob and his brothers, where he worked until the mine closed. He officially retired from the local Labor Union in the mid 1990’s. 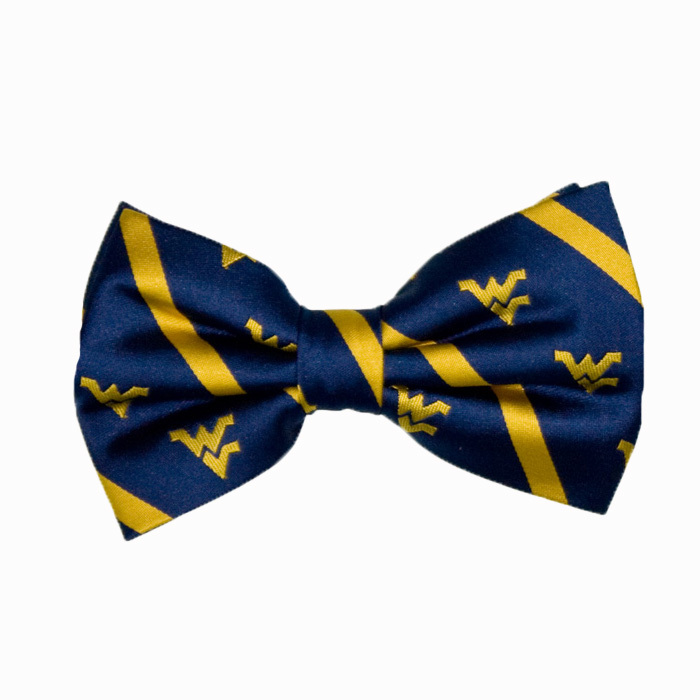 Bob was an avid sports fan, especially WVU and Bridgeport sports. His tailgating foods were impressive, with only his infamous apron stealing the show. He was charismatic and had a sense of humor that blended perfectly with his full of life personality. Bob attended every wedding, graduation, birthday, and sporting event that he possibly could to support and celebrate his family. Many, whether related or not, referred to him as “Uncle Bob” or “Big Bob”. His signature dance was the Tarantella, always waving his handkerchief in the air. He also enjoyed showering wedding couples with coins to orchestrate the Money Dance for good luck. Bob loved being part of a large Italian family and enjoyed talking about his family traditions. He took great pride in knowing that his many cookies, including his pita piatas, and his hot peppers were loved by all. He was a member of All Saints Catholic Church in Bridgeport, and served as an usher for many years. Regardless of how many were sitting in the row already, Bob could always seem to seat one more. In lieu of flowers, donations in Bob’s memory may be made to All Saints Church or People’s Hospice. After reading over the obituary again, I see a few grammar mistakes and changes made by the funeral home. My name wasn’t on the work, so I said to feel free to change anything.